This perspective on brainstorming is written by guest blogger Amanda Boyarshinov, author of the blog The Educators’ Spin On It. Are your kids creators? Mine are! They have their hands in the pompoms with fingers covered in glue almost every afternoon. I’ve got tables smeared with paint and paper tubes in a box marked – do not throw. Creating is fun, but also a very important part of brain development and learning for our children. They need to use all kinds of thinking throughout the day. As a busy parent, I’m trying to make the most of our creating time and have really focused on all aspects of the process: brainstorming, making a plan, following step by step instructions, and testing our designs. Today, we will take a closer look at the brainstorming aspect of creating. Parents and teachers often use the word brainstorming when asking children to come up with ideas in writing, designing, and creating. When we ask children to brainstorm, we are asking them to spontaneously generate ideas related to the given topic. These ideas can be shared orally or in written format. The Merriam-Webster dictionary defines brainstorming as “the mulling over of ideas by one or more individuals in an attempt to devise or find a solution to a problem.” That’s really what we are trying to do when we create – get ideas to solve the challenge or task. Brainstorming activates prior knowledge the child may have about the given topic. It is a very important part of the design process. As brainstorming occurs most often in the beginning, these exercises provide the adults with an immediate sense of how much the child knows. The reality is, in the brainstorming phase, there is really no wrong answer. As long as ideas are flowing and being shared, then it is a success. Three of my favorite ways to teach children how to brainstorm effectively are using a concept map, making a list, and sketching it out. A concept map is a graphic organizer that shows relationships between words. We write words that link to the selected word in ovals and connect them to their circle with a line. For younger children, encourage them to brainstorm out loud and write the words they say in the ovals. All related answers are good answers when in the brainstorming phase. We use Make a List most often in our brainstorming phase. It’s a quick and easy method to get children thinking about our topic. All the kids can shout out answers and I can add them to the next line on our list. You may notice that the list is similar to the concept map in that we are asking children to come up with related words and ideas, it doesn’t identify relationships. Now it’s time to put your brainstorming skills to use with a fun project: Glowing Planets. 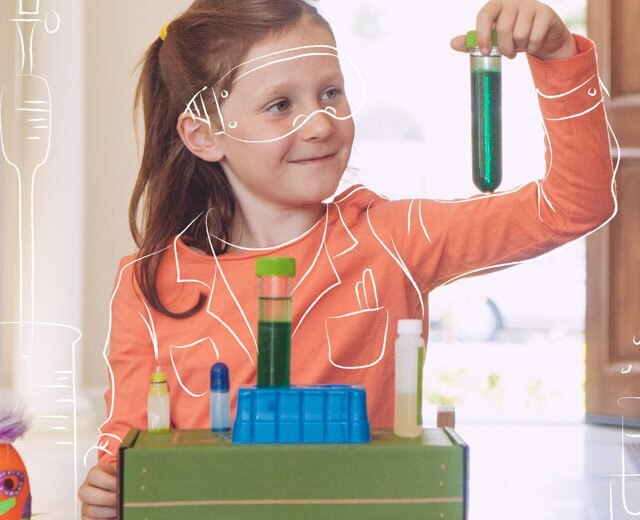 Kiwi Crate Inc. develops award-winning, hands-on projects and activities designed to spark your child’s curiosity and creativity. Our mission is to encourage the next generation of tinkerers, creators and innovators and help them build creative problem solving skills. Check all of our products covering hands-on learning, STEM, art & design and for kids 3-16+ at kiwicrate.com. Want to see more about making and creating? Follow Us! Previous PostPrevious Happy 4th Birthday Kiwi Crate!